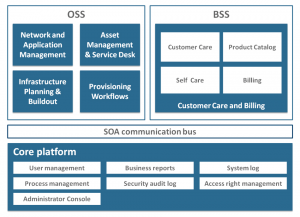 Complete suite of OSS/BSS applications including Customer Care & Billing, Self Care Portal, Asset Management & Service Desk, Network Management & Application Performance Monitoring, Infrastructure Planning & Buildout. A set of pre-integrated, service-oriented applications covering end-to-end IT Management with short turn up times and no integration hassles, enabling IT departments to simplify, automate and reduce costs of IT management. 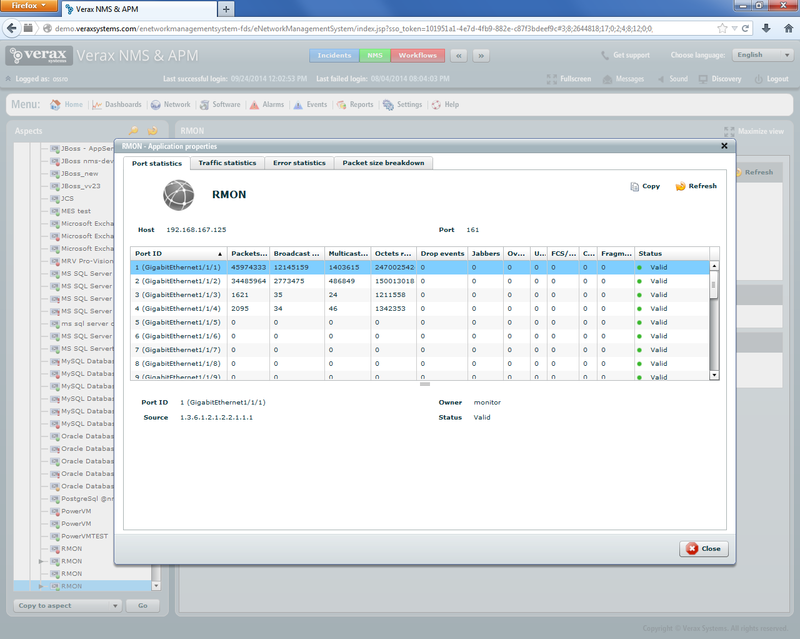 Verax NMS & APM RMON management plugin allows easy monitoring, alerting, health check, management and performance reporting for RMON-enabled devices. 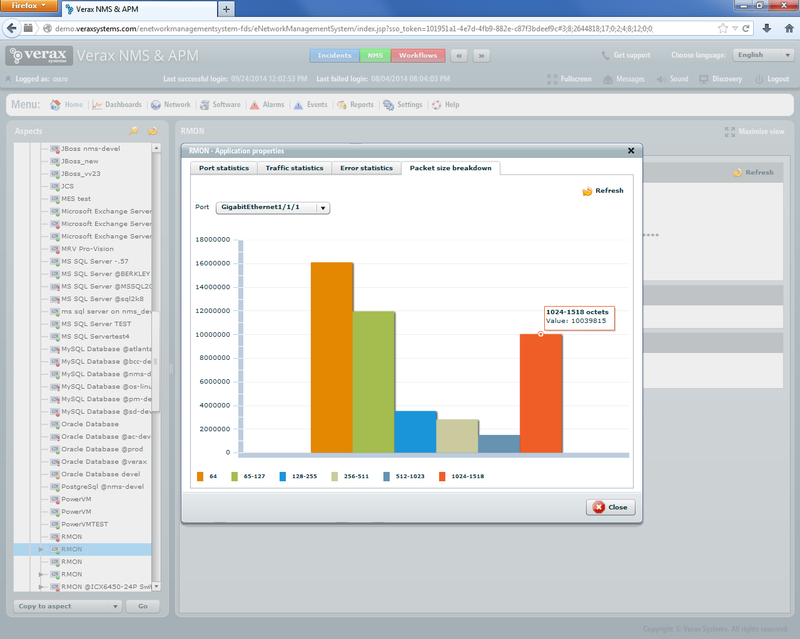 The plugin provides real-time LAN statistics, such as utilization, collisions, CRC errors, etc. enabling troubleshooting of typical LAN problems (e.g. a stray adapter causing errors). 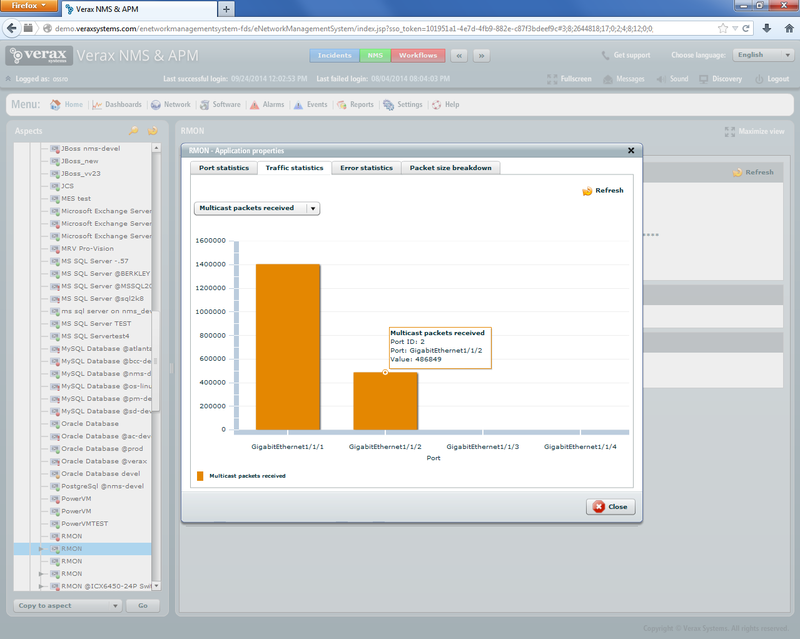 The view presents packet breakdown by size on a per-port basis. The plugin provides predefined templates for most commonly monitored RMON items (listed in the table below). Other, user-defined performance counters can be added. Copyright © 2003-2018 Verax Systems.